The US$388 million Direxion Daily Brazil Bull 3X Shares, an exchange-traded fund that seeks daily returns that triple those of MSCI Inc.’s Brazil stock gauge, saw inflows in the past week equivalent to 32 per cent of its market value, according to data compiled by Bloomberg. The surge in investor interest -- including a record US$94 million injection in just one day -- comes amid a stock rout as growing tensions between President Jair Bolsonaro and some of his allies in Congress casts doubt on the outlook for his proposal to overhaul the pension system and shore up government finances. The MSCI Brazil Index fell to its lowest level of the year Wednesday, sparking a 17 per cent plunge in the ETF. “The path of social security reform was never expected to be smooth,” said Greg Lesko, a money manager at Deltec Asset Management in New York, who added that he would be willing to take more Brazilian risk at current levels. 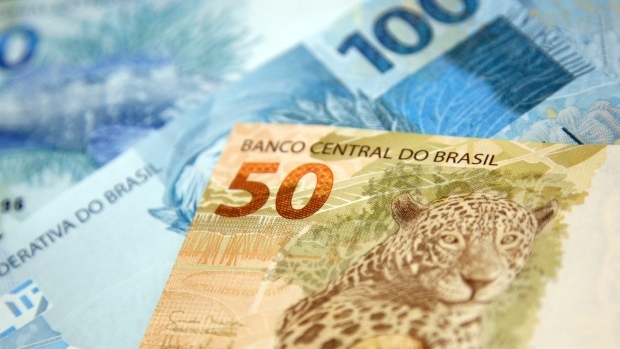 Investors have used the leveraged ETF before to take a stance on political crises in Brazil. The second-biggest inflow on record took place in mid-May 2017 amid reports of a tape that implicated President Michel Temer in a hush-money scheme, an accusation he denied but which helped derail the government’s agenda. Markets tanked following the revelations. It isn’t entirely clear if the money pouring into the ETF is a bullish or bearish bet. Inflows sometimes indicate create-to-lend, a scenario in which shares of a fund are created for traders wagering on a decline to borrow and sell short.